Jazz up your boots or trainers or simply buy some more if yours are broken with these Mr Lacy Slim Performance Laces. The laces you need will have to look good but also help your performance on the pitch too. These laces are lightweight and thin and have been designed specifically for the modern day football boot. 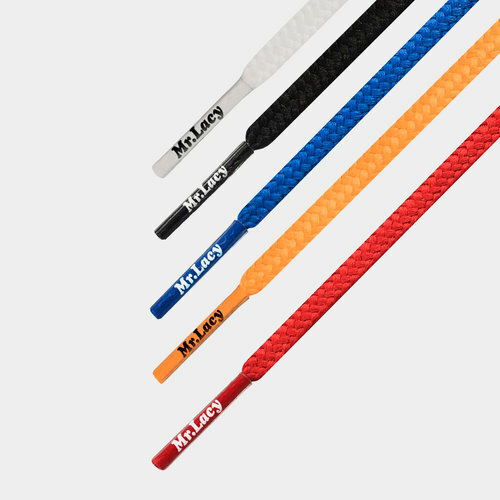 These high-performance football boot laces are 125 cm long and come either in a 4 mm or 6 mm width and come in a range of colours.